Tami Simon: You’re listening to Insights at the Edge. Today my guests are Peter Fenner and Jeff Foster, for a special edition of Insights at the Edge, a dialogue on unconditioned awareness and the challenges of everyday life. 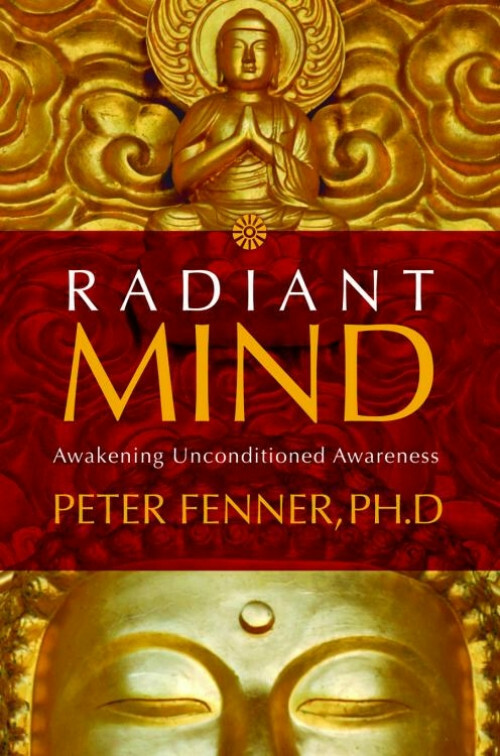 Peter Fenner studied as a monk for nine years with many notable Buddhist lamas including Thubten Yeshe and Sogyal Rinpoche. He is the founder of the Center for Timeless Wisdom and with Sounds True has published a book and audio series called Radiant Mind, where he presents a practical approach to nondual philosophy specifically adapted for Westerners. Peter Fenner is joined in this dialogue by Jeff Foster. Jeff studied astrophysics at Cambridge University, and after a period of depression and physical illness, embarked on an intensive spiritual search that came to an end with his discovery that life itself was what he had always been seeking. In 2012, Jeff was voted one of the World’s 100 Most Spiritually Influential Living People by Watkins magazine, and with Sounds True, Jeff Foster has written a book and created an audio series called The Deepest Acceptance, where he shows the way out of suffering into what he calls “the deepest acceptance." In this episode of Insights at the Edge, Peter, Jeff, and I spoke about awareness itself and three aspects of awareness: duration, purity, and depth. We also talked about what happens to our awareness when we’re experiencing intense emotional or physical pain, and [if it’s] possible to remain connected to awareness in such circumstances. We also talked about how to know when somebody’s using teachings on awareness to not connect, either with oneself or with another person. Here’s my dialogue with Peter Fenner and Jeff Foster. OK: We’re finding each other here on the cyber-bridge. Peter and Jeff, welcome! TS: OK, so let’s get into this topic: unconditioned awareness. This is not, I think, a term that is part of most people’s everyday vocabulary. "Hi! Unconditioned awareness!" I mean, it doesn’t exactly roll off the tongue. Peter, I know this is an important term for you in your work. So, just to start, can you define it for our listeners—and why this word "unconditioned?" Isn’t awareness enough of a big word that it takes us into awareness? Why is it "unconditioned awareness?" 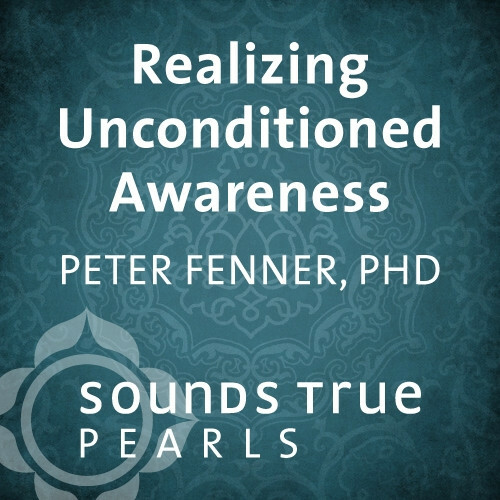 Peter Fenner: It is awareness. Awareness is enough if we are aware of the distinction between the contents of awareness—what’s arising in awareness—and awareness itself. But often the two get conflated. We think awareness [is] what’s happening in awareness—what we’re thinking, what we’re feeling, what we’re seeing. So, "unconditioned" is strictly not necessary. But what we’re pointing to here is not what’s happening in the field, but just the pure act of receptivity—the capacity, the receptivity to receive whatever is happening in awareness. So just awareness is great. Yes, it’s enough. It’s awareness. Like now, people are talking about "the awareness teachings," "the awareness transmission." I think that simpler phrase is now working. TS: Now, Jeff—in your work, when you’re pointing to something like "awareness," it seems that you often use metaphors. But, if you weren’t using a metaphor, what word in the English language occurs to you to refer to "awareness?" Jeff Foster: Well, I think in the end it’s—what we’re really talking about is something that’s prior to words, prior to language, prior to concepts. As Peter was saying, all of those things—thoughts, concepts, words—they all come and go. So really, what we’re speaking about is something that doesn’t come and go. It’s not part of that world of coming and going. Everyone has the ability to—let’s just talk in a really simple way. Everyone has the ability to observe thoughts—to look at their thoughts, to be aware of thoughts rather than being caught up in thoughts and stories. We have this inherent ability to—in a way—take that broader perspective. In a sense, look at thoughts. It’s incredible, really, that we can actually do that. That we can say, "Oh, look. That’s a thought. That’s a thought." So what is that? That’s what we’re really pointing to. What is that inherent ability? What is that that notices thoughts coming and going, but seems to always be present, whether thoughts are present or not present? Whether words are present are not present; whether concepts—images—are present or not present? What is that? Call it awareness—actually, call it whatever you want in the end. But that’s the real inquiry at the heart of it. What is that that seems to be always here no matter what’s going on? Something that’s always here. Not sure if that answers your question, but . . .
TS: What I notice when I listen to you both—and when I read your books and listen to your audio programs—and I think many listeners might share this experience—is that when you’re pointing to awareness, unconditioned awareness, to that—what’s always here—I’m right with you. I feel right there. I’m in this big, open way of being. But then, when I’m not listening to you, often it’s more a kind of experience that just comes and goes. Maybe it’s there, maybe it’s not there. And I wonder if you could talk about that. TS: What has occurred in unconditioned awareness? PF: OK. For me, it’s a paradox. What we’re talking about—awareness—which [I] sometimes prefer to talk about as "this." Just this. Not even awareness. Because now—like with the three of us and our listeners—we can use a word like "this" and we know what we’re pointing to. We’re not pointing to a thing. It is the scintilla space, as Jeff talks about. So, it’s the "this" and the paradox is that "this" is beyond everything. It is beyond existence, non-existence. We can’t say it is; we can’t it isn’t. It’s totally beyond everything. We can’t lose it, because it’s not a thing that we have. There’s no ownership of "this"—it is just is. So we can’t lose it. We can’t gain it—there’s nothing to have. It’s not like an accomplishment, an achievement. But the paradox is that we do move into and out of it. There are times when we think, "I’ve lost it," when there’s nothing to lose. I’m not in it, when there’s nothing to be in. It’s like the play of the mind, what it does, and how we believe what we think so often. The mind is so convincing. We think something and we think, "Ah, that’s so. I have no longer got it." The beautiful thing is that then we can think, "I’ve lost what?" and we can be back here, seeing that we can’t lose it. JF: That’s the beautiful thing about it. Even if in the present moment, we do have this sense that we’ve lost it—whatever we think "it" is—there’s a sense that we’ve lost it. What I would say is, even that—even that sense—if that’s what’s arising in this moment. Even that sense that you’ve lost it is it. That’s how infinitely close this always is. Although, sometimes it feels as though awareness—or whatever you want to call it—is infinitely far away. You could argue that that’s suffering, in a way. Feeling that sense that what you long for is infinitely far away—that’s suffering. But then, in any moment—and this is why I say that every moment is the invitation—even the sense of longing, even the sense that you’ve lost awareness . . . exactly that is the shape that awareness is taking in this moment. In that sense, you could never truly lose it. In the ultimate sense, you could never truly lose it. Although of course—as Peter said so beautifully—the paradox is that sometimes you can feel as though you’ve lost it. It seems as if you’ve lost it. TS: Now, this experience—this is what I want to talk about. That for most people, their sense of—you could say—being connected to awareness, resting in awareness. You could call it “this" or “that," I don’t care what word we use. Whatever. The sense of this being as awareness—it comes and it goes. I want to find out from the two of you: Is that your experience? PF: It’s my experience, yes. It’s here, there’s a recognition. And then, there can be a real solid recognition—even a checking of the recognition by what I call "checking questions." Can I do more of this? It makes no sense. There’s nothing being done. Can I improve this? Can I tweak it up, make it better? No! Impossible, because there’s nothing to improve on. Can I lose this? No. There’s nothing here that I’m holding onto that I’m having. It’s not an experience. And then, at some future time, suffering is happening. How I see it is that something’s happening that’s not aligned with my preferences. When that happens, I suffer. I don’t like it. It’s not how I want it to be. But, if you actually look, you can never see yourself losing it. That’s impossible, because there’s nothing to lose. So it’s like the mind thinks I’ve lost it, and then—as I said, the beautiful thing is it’s so simple to reenter this often by just thinking, "What is it that I’ve lost? Ah! I’m thinking in the wrong paradigm. I am here already." TS: But still, Peter, what you’re saying is that your experience is of a coming and going at the experiential level. TS: Jeff, what about you? JF: Yes, in a way there’s kind of two answers to that question. One is, "Yes." Of course—call it some kind of forgetting of my true nature as awareness, getting sucked back into some kind of story or concept. But then there’s another answer—which also feels true, actually—[which] is that, "I never leave this." Because there’s a sense these days that even if while this is happening—that kind of getting-caught-up-ness, that stuckness—that there’s something even underlying that. That even that forgetting is somehow part of it too. There’s that kind of deeper knowing. Even the struggle, even the suffering, is somehow allowed—it’s somehow being held in the vastness that I am. So it’s a funny question because in a way there’s always—for me—two answers to that. Yes, I can still get caught up. Probably, I would say, not nearly as much as I used to. But yes, sometimes there’s this forgetting on one level. And then there’s this other level—and these two levels seem to be happening at the same time. This is just a way of saying it. There’s really something that I never lose—that I can’t lose—even when I feel that I’ve lost awareness. Because it is appearing as that in that moment, because in the moment it’s appearing as the sense of having lost something. It’s like this total sense of always being held, somehow. It’s hard to put into words. Really, there’s two answers to that question. TS: Peter, do you have a response to that? Does that sound a little bit like a waffle or a shuffle, or does that make sense to you? PF: I don’t like language it [or] think about it exactly that way because, for me, when I lost it—like I was sharing earlier. I’ve been, just recently, in what I call excruciating pain with a disc herniation. Unconditioned awareness was nowhere in the picture. It’s just, "Get me out of here as fast as you can!" Like every microsecond. Doctors are coming in, shooting me up with morphine, giving me something to breathe to make it more comfortable. In that space, I can’t say that it’s still there somehow. I think, for me, what’s happening here is—what I realize more and more—that to be resting in the space that we’re talking about—resting in this as awareness—the conditions have to be right. We have to be pretty comfortable. Not stirred up. Not in the midst of high-pressure activity. Not experiencing intense pain. There’s some threshold of pain and disturbance that makes it very difficult for most of us—for me—impossible just to rest in this space of utter equanimity and acceptance. It’s important to realize that the conditions are pretty limited. It’s easy for things when they’re not how we would like them to just get involved in, then try to manipulate reality unsuccessfully, because we can’t put our hands on reality. There’s no one to do it, and we can’t touch this in the moment. It’s like we’re trying to do something that’s totally impossible. Trying to manipulate reality—it’s pointless, fruitless, always doomed to failure. That’s why we suffer. So for me, no, it’s beyond loss and gain, this state. So I can’t exactly say that it’s always here, because it’s beyond existing. Which is not to say that it’s nothing. TS: Peter, what you’re saying is very interesting, because I think most ordinary mortals would say, "I have the experience that, yes, conditions need to be right and I can touch and rest in the unconditioned. When the conditions are right, yes! I’m right there." And that’s what I was saying in terms of whether it’s reading certain books or having a moment where the candle is lit, et cetera. But that the rest of the time, "No, that’s why I listen to a dialogue like this, or I buy certain books or programs to help me to return to the unconditioned." To hear you—a teacher of unconditioned awareness—say that you also have that experience . . . I think that many people might find that surprising because there’s this idea that these great teachers don’t need the conditions to be perfect. PF: Right. I think there are great teachers for whom that’s true. I think we know that there are great teachers, great masters, great yogis for whom death—I mean death for me is the real test—but for whom death is uneventful. It’s a non-event. It’s [totally] insignificant. In fact, it’s bliss. It’s just an opportunity for really resting in deep bliss consciousness. And I don’t think that’s me, looking at myself at this point. Like how I function, how I’m conditioned, what my preferences are. There’s incredible scope for evolution. This lifetime, beyond this lifetime, however. That incredible scope for evolution—what in my book with you, in Radiant Mind, I talk about the deepening of the presencing of unconditioned awareness. How to have it embedded in our conditioning—more and more embedded in our everyday [lives] no matter what’s happening in that. TS: You talk about these three—you could call them "aspects"—of the deepening of unconditioned awareness. How long we can stay in unconditioned awareness—the duration—the purity, and then the depth. I wonder if you could talk about each of those three points briefly, and then I’d love to hear [from] Jeff if that relates at all to your experience. This idea of duration, purity, and depth. But go ahead, Peter, and lay it out a bit for us. PF: OK, thank you, Tami. The purity is pretty simple. We’ve been presencing and talking about the purity in our conversation together, when Jeff said, "This cannot be lost or gained. This goes beyond loss or gain; it goes beyond existing and not existing. It’s not a thing or a non-thing." That’s a pure expression of this, but what can happen is people can give what I call a "metaphysical overlay" on this. This: which is not a thing, that can be qualified in different ways. So it’s just a recognition of that—that it’s great to get this in the real purity of this. That it’s no one doing nothing, going nowhere. And so on. The duration is just how long. So, Jeff was saying, "This is more and more available to me over the years." That’s how I think it happens. The best way to look at it—to frame it—is how we’re working with this not in one month, not even in six months, but two years, five years, ten years. That’s the type of timeframe because in one month, something can arise that just totally takes you off track—something that’s really challenging. Losing your job. Going and getting into a relationship [or] out of a relationship. Big physical difficulty. Death in the family. Whatever. And then you’re just not in the space for the cultivation and presencing (maybe) of awareness. So you need a longer timeframe to really see how working with the stuff—as you’re saying, through listening, reading, going to teachings, et cetera—how’s that impacting us over two years, five years, and so on. And then the depth is the extent to which we can be here in this place where we’re not needing to escape. There’s no energy whatsoever for needing to escape when the conditions are really challenging. Like when the stuff’s there—when someone’s really (whatever we might think) dumping on us, just giving us a blast of their stuff. Or our body’s doing weird stuff. We’re not running away. We can still be in a state of pure equanimity in the moment, getting the perfection of the moment, and knowing that there’s nothing to be improved or taken away from it. That we have everything we need, everything that we can conceivably realize in the moment. TS: Jeff, [are] these three dimensions or aspects of depth, purity, duration, meaningful to you in any way? JF: Sure, yes. I can definitely relate to what Peter is saying. Let me just say it in my own way, and then we can see if we can build some kind of bridge. We all have our own language for this, you know. I use my own kind of words. I think, sometimes, what happens—and I’ve seen this in a lot of people I’ve met over the years; I certainly saw this in myself. Sometimes, we can confuse "awareness" with a certain feeling or a certain state or a certain thought. For example, this is what I used to think: If I’m feeling good, I must be in awareness. If there’s a feeling of joy, oh I must be in awareness. We kind of confuse being in awareness with feeling a certain way. The thing about thoughts and feelings is that they tend to be temporary. They tend to come and go. So, this is what would happen to me: There would [be] a really loving, joyful feeling [that would] appear and it would be great. "Ah, great! I must be in awareness now, because there’s a joyful, loving feeling." And then what would happen was the joyful, loving feeling would disappear. Then I would think, "Oh, I’ve lost awareness because the joyful, loving feeling has disappeared." That can really happen. We confuse unconditioned awareness with conditions, if that makes sense. I think Peter was talking a little bit about this. We can confuse unconditioned awareness with contents—contents being thoughts, sensations, feelings. PF: Well, for me that would connect exactly—and I know you’re talking exactly what I’m intending to mean by purity. PF: And it becomes impure when there’s a confusion—when we think that feeling bliss, feeling equanimous, feeling really set or serene, loving, is the ultimate state. But as you say, it’s temporary. It does come and go. It’s a conditioned experience. JF: I think that’s such an important point to make. I really do, because otherwise we start seeking [or] looking for that bliss state. Or that sense of oneness. Or that sense of freedom, even. It becomes something to look for. There’s nothing wrong with that inherently, of course. Inevitably, what we’re going to do then [is to] start comparing our present experience—this moment exactly as it is, the exact shape that this moment takes now—we’re going to start comparing this shape with some image, some idea of the shape that this moment should be taking because that would be awareness. If this moment had that shape, then I would be there. Whereas, what we’re saying is that this is the shape that this moment takes. I think what I was saying before was: even if, right now in this moment, there’s some sense of discomfort or struggle—I mean, in my life, some of my greatest insights about awareness have come in those moments of terror and horror, and feeling [that] I hate life and I want out. The strange thing is, sometimes it’s been exactly those experiences—exactly those moments—that have been the portals to discovering awareness. Not through running away from that experience—even the sense (I used to have this all the time) of wanting to die. In the end, if that feeling—that emotion, whatever you want to call it—that movement can just be there just for a moment, just be allowed somehow to be here. Then the question becomes, "Well, what is allowing this feeling? What is holding this feeling? What is providing the space for this feeling? What is so vast and so unlimited and so pure and so ever-present that it would even take the shape of this so-called negative feeling?" I think it doesn’t necessarily mean that the feeling goes away. It’s not, "If I discover awareness, then this will go away." It’s not seeing awareness as some solution to this present problem. Actually, awareness is that which is allowing this moment, holding this moment, embracing this moment. For me, that was huge, that discovery, because I had always thought of spirituality and I thought the whole point of spirituality was to get to a point where the moment is always perfect. "Oh, if I was in pure awareness, then the moment would always be perfect." I started to see that that’s a very subtle form of escape, actually. Awareness is not a destination, it’s the ground. It’s that which is allowing this moment, holding this moment. For me and my journey, that was a huge discovery—that awareness was actually home. TS: Now, Jeff, have you had experiences in the last few years that might be similar, in any sense, to Peter sharing with us this intense physical pain that he experienced recently? Is there anything in your experience recently like that? Really serious physical pain and awareness was nowhere to be found? JF: It wasn’t physical pain. I’ve been quite lucky the last few years, actually. I had—it was about four or five years ago now—I did have an operation where, for the first time in the life [I was in] excruciating physical pain. I learned a hell of a lot from that, to be honest. But yes, I guess it was three years ago now—it wasn’t physical pain, but it was real emotional pain. It was to do with—I won’t go into details—it was to do with a breakup of a long-term relationship. That was unexpected, because here I was with—maybe on some subtle level, some subconscious level—some idea that I was there. That I had made it. Now I’m in unconditioned awareness, right? I must have, on some subtle level, turned that into a new identity for myself. "I’m in unconditional awareness." Well, life in its infinite compassion tends to enjoy shattering dreams. So yes, I remember sitting there a few years ago in my apartment and this excruciating wave of—almost a sense of loss. Unexpected. This kind of crushing sense of loss. The loss of dreams. And then this—something I hadn’t experienced for many years was jealousy. There was this raging torrent. Luckily, I’ve learned these days just to really honor what comes up. So I just sat with that for many, many days. It was incredibly painful. I watched the mind wanting to run off into past and future, but I kept on coming back, coming back, coming back to here and now, here and now, here and now. Eventually, it started to pass. For those few days, there was no unconditioned awareness to be found. There was just pain. Through just sitting with it—I can’t say I’ve learned the solution. But I guess what I have learned over the years is to somehow trust—I don’t know. I always come back to this. It’s some strange trust, I guess, in awareness itself. You may feel excruciating pain right now, but on some level I know that you are only awareness moving. It doesn’t make it any better in the moment. It doesn’t make it go away. Yes. Coming through that—actually, awareness was still there. The pain surges up. Physical pain, emotional—it surges up and it does its thing and it tries to convince you that you’ve lost it and you’ll never find awareness again. And then, suddenly, "Oh! Oh! Oh! I get it. This is it, too. Oh. How could I have ever doubted that?" But that’s the strange thing—it’s like the constant crucifixion [and] resurrection. However you want to say. That’s why I always say that life is the real teaching—it’s the real guru. We can sit here and talk about life in the abstract sense. Peter, as you were saying so beautifully with the physical pain that you were going through. Whether it’s physical pain or emotional pain—grief, sadness—I think it somehow all contains the same invitation. In a way, it was hell, but I’m so grateful for hell.
. . . In hindsight! In hindsight, you can say that. At the time, it’s hard to say that. But in hindsight, somehow you can always say that. PF: Yes, yes. Yes, it seems to me that you can have a thin appreciation of awareness when the conditions are right. And then you really can expand it and deepen it. The capacity is there to be present, to be aware, no matter what is happening. Or at least an expansion is possible. And that becomes the path, for me. The path becomes just being here whenever we can. There’s no practice as such; there’s nothing to do. The only practice is to sort of recognize when we can be here and take advantage of it. Be here, now. Be here as it’s happening. And then it creates a resource—it creates a predisposition. So then, in the midst of difficult stuff—in the midst of life—we can get back here in a fraction of a second. There’s no journey that has to happen. It’s just re-recognition—re-recognition that, "Oh wow, awareness. That’s what’s happening." It’s not just the contents—that it’s just being in the ground of being. That does become automatic. You don’t even have to do it. It’s there. Who is this happening to? "Wow! My God! I can’t find who’s experiencing this." And then there’s a re-entry. PF: There’s not even a re—go on. Go on. JF: I think, in a way, this is what I was trying to touch on before. I think you said it so beautifully just now, but this just made me think that perhaps—this is what I was trying to say, I think. Even the apparent [loss] of it, which is suffering. Perhaps even that, in the end, is some kind of strange invitation. It’s like life saying, "Look, you’ve forgotten. You’ve forgotten." It hurts to forget. It hurts to forget home. From that perspective—I think we have to be quite careful when we say this, and I don’t think I said this very skillfully before—even our suffering, seen from this perspective, [is] not a block to unconditioned awareness. It becomes an invitation—this ingenious invitation. "Look, you forgot who you were and it hurt like hell." But that’s intelligence. I think that’s what I was trying to say before and it didn’t quite—I think that was what I was trying to point to when I said [that] there’s some strange, underlying sense that even the suffering is—there’s no words for that. Because the moment I say "perfect" or, "Even the suffering is perfect," eughh. Because it’s not. It’s suffering. I think—from that bigger perspective—even the suffering is some kind of intelligent call to remember awareness. PF: For sure. Suffering—all the suffering that happens for us—is our way of trying to be here. PF: And then it’s not working. Who knows how long it’s gonna take? But it is all in the endeavor of being here, of being free of it. It’s got to happen to get through it. TS: Now, Peter, you talked about these three days when you were in excruciating pain and awareness wasn’t anywhere to be found. [Do] you feel, now, that you were changed by that experience in some way? PF: I think yes—a lot of things have happened in recent years, particularly different physical things. In the body. TS: How were you changed by these experiences? PF: I’m not sure, Tami, at the moment. I hope there’s a deeper appreciation of people—being able to meet people in deeper places. Also, seeing the limits of some of the so-called nondual technology—like saying the right stuff. So in the midst of excruciating stuff—I’m thinking when I was in Europe, around Christmas, people might say to me—when I was nearly jumping out of my skin. This was different, not my back, but with a knee replacement. They would say, "Peter, there’s no one to experience this!" I don’t know what the intention of saying it to me was, but it felt so irrelevant and inappropriate. Yes, it’s making me more appreciative of when both the power of connecting with where people are and being able to get into that more deeply. I mean, the human embodiment—the human nervous system—the amount of pain that it’s capable of producing is—I don’t know if it’s infinite, but you just think of torture. Like when the intention is to produce the maximum pain for someone without killing them—and the tens of thousands of people to whom that’s happening right now, as we speak. I think it’s just giving me a deeper sense of the humanity [of] what’s happening on our planet. Just how to be with that—enter it, be in intimate relationship with deeper, more intensely contracted states and knowing that there’s a way out. There’s a way to get through that, not knowing how long it will take or how to do it. Also, just the beauty of knowing that you can—what Jeff was saying—the beauty of knowing that you can be in excruciating pain and you can make a journey into it. This is what I understand [to] be a big part of Jeff’s teaching and offering—the way we can make a journey. It’s like tantra, as well, in Tibetan Buddhism and Hinduism. You can make a journey into pain and transmute that into bliss. Just knowing that you can do it. I’ve done it a few times and I can’t do it consistently. For some people, energy is bliss. It doesn’t matter what form that energy is taking. It might initially manifest as pain, but the pure fact that it’s nervous energy means it has the potential for being bliss. So, having made that journey a few times is fantastic, just to know that it’s possible to do that. Really, there’s two things: Knowing that possibility of transmutation of pain into bliss; and being able to connect with people more fully, more deeply at the same time as presencing awareness and knowing that my role—I hope—is to support people in making the journey from wherever they are through to awareness, beyond pleasure and pain—but being able to start at more deeply contracted states with people. TS: Let’s say someone’s listening to this who’s in a difficult spot in their life right now, some way or another. Some kind of suffering, emotional or physical pain. What kind of directional pointers, if you will, would you both offer? Jeff, [do] you want to start? JF: Sure. I never come to someone knowing what I’m going to say. I don’t really have a toolbox that I carry with me. I always try to respond to people in the moment. What I always do with people—I think Peter spoke to this beautifully—is to meet people where they are. I know that’s become a bit of a cliché, but it’s so, so, so, so, so, so, so important to meet someone where they are—to just validate their present experience. Even if it’s messy and it’s not pleasant or it doesn’t match your image or their image of what their experience should be like. It’s forgetting about the "shoulds," you know? So right now you feel sad—OK. Right now, you’re in excruciating pain and you can’t see a way out. OK. It’s like meeting them there. Now, I think that’s a huge part of the healing process. I really do. Just that meeting. "I see you. I see you. I see you there and—for just a moment—I’m not going to try to stop you having the experience that you’re having." I think that’s huge, especially in the Western culture. Who’s really doing that with anyone? Really? Who’s really doing that with anyone—just saying, "OK. OK, that’s where you are." That’s where I begin with people. From that place, we can start to take a look at things like: Who is having this experience? Is this sadness yours? Are you trapped within the sadness or are you the space for the sadness? Inviting people to come out of their stories of past and future—what should happen and what shouldn’t have happened, trying to control the universe. You’re sitting here, trying to control the rest of the universe—trying to change the past, trying to change the future. That’s a huge part of our suffering—our attempt to control the uncontrollable. That’s something I’ve learned myself over and over and over again. So much of my suffering comes from trying to control the universe in this moment, sitting here. Trying to control the past, change the past, change the future. Ultimately, trying to change this moment—trying to have a different experience. These are some of the things I explore with people. Really, in the end, I see what I do as just offering an invitation. Really, when it comes to this stuff, you can only really invite people. You can’t force this stuff upon people. Like Peter was saying before, it’s a kind of cruelty in a way when you’re in excruciating pain and some nondual-whatever person comes up to you and says, "There’s no one there having pain," or, "Who’s having pain?" You’re not ready to hear that, and you may never be. Actually, it can just be a way of invalidating someone’s experience. In the moment, there is excruciating pain, so let’s begin there. Let’s begin right there, because for me that’s the doorway. Present experience is the entry point. I don’t think there can be any other entry point. There’s no other entry point. That’s the entry point. TS: Peter, do you have anything to add to that? PF: That’s beautiful. Yes. I totally agree that you begin with this total capacity to identify. I think that’s what happens through presencing—journeying our own pain. It increases our resource for identifying with the incredible things that can happen for people. So yes, it begins with that. No rejection of it. No idea that it couldn’t be happening, shouldn’t be happening, that people can move through it in an instant. But being with it—really connecting so people are really getting that you got them. We know what’s happening for them. [And] being with that for some time. But at the same time, through all of that, knowing that it does not have to be like that. There’s no contradiction between the two. Total identification and also resting in awareness, knowing that in any instant—in the next microsecond—it can shift and change. And knowing that if we are present and with someone and in awareness ourselves, it has a transformational effect. It’s not techniques and technology—it’s just being in awareness ourselves, totally open, [boundless] state, letting their reality enter us. They become us. We are them. Their suffering is our suffering. There’s no difference. It’s not like, "This is happening to them. Thank God it’s not happening to me." It’s in our sphere of consciousness—universal consciousness. But we’re resting in awareness, and it’s producing a fast or slow—it doesn’t matter—transformational effect on the suffering that’s happening for the person who thinks, "Ah, this is mine. This is happening to me." Just being with them in that way and there can be a skillful contribution we can make in language. A lot of it’s just the energetic resonance that we’re producing through the oneness of consciousness. It’s as close to us as our own suffering, even though it’s not as immediate. That, of course, lets us continue to rest in awareness. And that’s where the work gets done. A lot of it, I feel. Really, really exquisite, beautiful work in which people can be in intense suffering and then, sometime later—one minute, five minutes, say—it can just break up, not be there. They can’t even reconstitute it. TS: You both have talked about how it’s not just annoying, it’s terrible—it feels—when some nondual person says to you, "Who’s in a bad mood?" "Who’s grumpy?" "Who feels terrible right now?" "Who’s grieving?" Honestly, that’s the kind of thing that would make me want to punch said person. JF: Who wants to punch, Tami?! TS: Right, exactly! Jeff, if only you were in the room with me! I would show you exactly who wanted to punch you! Yes. Exactly. "Who wants to punch?" TS: I think one of the things I’d love to hear you both speak to is: how do we each know—how does somebody know when they’re using teachings on awareness to not connect? To either not connect with oneself or not connect with another person? Is there a type of litmus test for that? PF: I think there is. I think some of it is just how we are hearing ourselves. It’s the difference between saying something and it [comes] out of our memory bank, out of our history—it’s coming out of something we have said before or know how to say, or have heard from someone. In contrast to the words we’re saying being shaped moment-by-moment by the particularities of the situation we’re in. That’s what’s shaping what we’re saying. It’s not coming out of memory—it’s coming out of our connection with awareness. In intimate communication—really feeling into the person—not pushing in but fully receiving the person that we’re with. So it’s a lot of it’s the tonality of the voice—where our voice is coming from. Is it coming from the mind? Is it coming from the heart? When we say we could be saying the same thing—but is it coming [from] just a slogan from the mind? Or are we in intimate relationship with the person we’re sharing this moment with? TS: Jeff, anything to add to that? JF: I think that was so beautiful. I don’t think there’s a lot to add to that, really. I don’t know. These days, I’m not so interested in the lectures about awareness. I think I used to do that many years ago. So easily, awareness can become just another concept because the mind will turn anything into a new concept. Now it becomes our concept of awareness, and we can read books about awareness and learn about awareness and even teach about awareness. Peter, as you were saying, there’s a world of difference between knowing about awareness and being that. Knowing yourself as that. I don’t know so much about a litmus test. When I meet people—and I don’t mind if they’re a nondual teacher or not a nondual teacher. Although someone on the street or—I don’t know— in a cafe or a relative, or anyone. I don’t know. As Peter was saying, what’s the quality of our connection? Are we here together? Do I feel you? Do your words feel regurgitated? Do they feel secondhand? Whose voice are you speaking in? These are meditations—these are not questions, these are not checklists. These are just some questions that come up. Are you speaking from the heart or from memory? I don’t know. It’s more like a gut thing, for me. It’s like a gut thing. Is this reciting words about awareness? Or is this awareness speaking? TS: Do you have any way—in your own experience—when you maybe have a sense that, "You know, this might be a little bit of a fishy moment when I’m speaking the words of awareness, but I’m not sure I’m really, fully here." Do you have any way of detecting that in your own experience? JF: Yes. I always feel a bit sick. Something doesn’t feel right. It feels rehearsed. There’s a sense of blockage. A sense of, "What I just said—that was to promote some kind of image of myself." Rather than speaking the truth, that was spoken because I was in some kind of story. Or I was trying to promote some kind of image of myself. It’s strange. Again, I think it’s part of the intelligence of life. You feel that somehow. You feel that inauthenticity in you—at least sometimes I do, anyway. It feels a bit yucky. It feels kind of blocked. What it feels like is disconnection. "I didn’t really connect with that person." Sometimes, I can feel that in bigger ways or much more subtle ways, but I think—again, it’s somehow part of the intelligence of life. If you really listen to it, it will let you know why you’re stuck, somehow. I think on some level, you have to learn to listen to it. Listen to the stuckness. Listen to the sense of disconnection. It’s all intelligent. Don’t push it away. "Oh, that’s a negative aspect of my experience, I should get rid of it." No—listen to it. The sense of disconnection—if you really listen to it, it can tell you so much. It was like what I was saying before about suffering in general. If you can somehow learn to turn towards it, listen to it, validate it. As Peter was saying, it keeps you connected to your humanity. Thank God for suffering, because it keeps you connected to your humanity. TS: Peter, do you have any way to know when you’re mouthing the words of awareness, but you’re not really there? JF: Yes, it happens very quickly. I mean, it can happens three words into a sentence. Four words into a sentence. Again, a lot of it—the word I use is "tonality." Where the words are coming from, and that in a way I’m saying them for myself, not for the people I’m with. But I get it quickly and I can hear it quickly. I’ll just stop mid-sentence, quite often. It doesn’t happen a lot. When it happens, I just stop mid-sentence and I say, "This doesn’t need to be said. That’s enough." And I’ll just be quiet and reconnect and open it up differently. It’s tonality and I’m sort of sensitive to that. I feel pretty rigorous in not letting myself get on a roll that has that sense that you’re just—it’s strange, because you can be saying the same thing that you were saying before, and it’s totally appropriate. Or you could be saying the same thing that you said before and you’re not with the people. If you’re opening your mouth, speaking words aloud, it’s there for people to be heard. And if that’s not the full reason for why you’re opening your mouth, then you keep it closed. What you’re saying is to be of benefit, to be of support for people. If you’re not reading that off their reception of what you’re saying, then a correction needs to happen. So you make that correction, which could be just stopping what you’re saying and being silent. Or correcting yourself in mid-sentence. "I don’t know where I’m going here. I don’t know why that’s happening. "Just stopping for a while and reconnecting. As a facilitator, I facilitate a process. I’m not above or below anyone—the people I’m working with. I’m facilitating their access to awareness. That’s the sole objective. And not telling them about it, but having them resting in it, accessing it, recognizing it. TS: So I just have one final question for you both, which is: In thinking of having this conversation with the two of you, I thought to myself as I was filling up my glass of water and heading into the studio tonight, "these are two of the warmest Sounds True authors that I’ve had the privilege to work with. They’re both so warm." What I mean by that is whenever I’m with either one of you, I do have this sense of heartful warmth. And I’d love to know—at a feeling level, for you—what the connection is between awareness and both of you, in your own way, having devoted your life to awareness and this quality of warmth. JF: Wow, Tami. You ask great questions. JF: I think we should just stop for a moment and honor Tami’s question. JF: Yes, great questions. My goodness. JF: What I would say is that I think it relates to something we were saying before—that it’s something to do with the paradox of knowing yourself as absolute, pristine, unconditioned, ever-present awareness. At the very same time, being the space where all of humanity can arise. Every thought, every sensation, every feeling. In a sense, anything that anyone has ever thought, anything that anyone has ever felt. As awareness, all of this stuff seems to be—well, you could say—part of me. It’s not alien to me. I somehow never ever, ever manage to transcend my humanity. In a sense, it was the other way around. The more I tried to transcend my humanity, the more my humanity came to smack me in the face time and time and time again—until it was, "Oh, pure, unconditioned awareness," and this deep sense of being human and being connected. They’re not in conflict. It’s really the same thing. That’s huge, really. It’s like, somehow, on the deepest level, I understand you, whoever you are. Because beyond my story and past and future, blahblahblah, my sadness is your sadness, my pain is your pain, and my fear is your fear. On some deep, incomprehensible level, we all go through basically the same stuff. We’re all basically longing for the same thing, which is awareness. Which is home. In getting more and more in touch with my own humanity and my own inability to escape the present moment really puts me more deeply in touch with you—with whoever you are. I am the same paradox that you are. And I go through basically the same things [that] you do. My longings are basically your longings. Different details, but same essence. PF: Beautiful, beautiful. I’ll just say in a minute that I really have very little to add to that except that I feel that when we’re with other people—with each other, with you, Tami—without a big agenda [or] any agenda from our own side, then it really invites a real feeling space—even though awareness is not a feeling. I know when I’m teaching people I say, "It’s feeling. It’s a feeling state. It’s a state of pure receptivity." Taking people in—and what we’re taking in is the feelings. Just the intimacy of that. We unclutter ourselves so that we can really receive people—receive people, receive ourselves really purely, without distortion. No judgment at all. That’s a beautiful thing to be offering people. Just no judgment about them, no matter what’s happening. And I think those things come across, and they are felt as warmth, love, deep appreciation. And we have that for you. It’s beautiful. TS: I want to thank you both. I have the sense that this conversation was like a journey, if you will—at least for me. I feel much differently here at the end than when we started. So, thank you! Thank you both so much. PF: Thank you, Tami, and thank you so much, Jeff. It’s been a delight. JF: Thank you so much Tami. And yes, Peter, it was such a joy to connect in this space. I felt a lot of love for both of you. TS: I’ve been speaking with Jeff Foster and Peter Fenner. With Sounds True, Jeff Foster has written a book called The Deepest Acceptance: Radical Awakening in Ordinary Life and that’s also an audio series, as well. 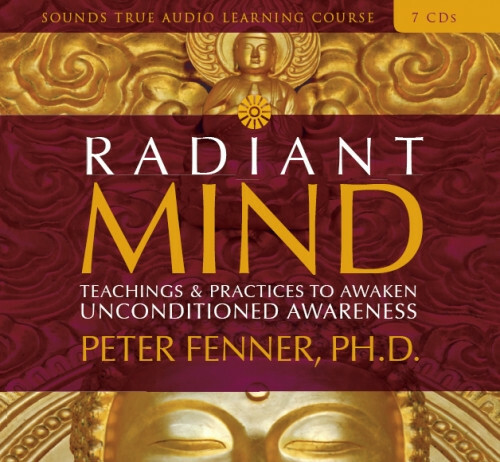 Peter Fenner has published a book with Sounds True called Radiant Mind: Awakening Unconditioned Awareness, a book and audio series. You can see their materials at their author pages at SoundsTrue.com. SoundsTrue.com. Many voices, one journey. Thanks for being with us.